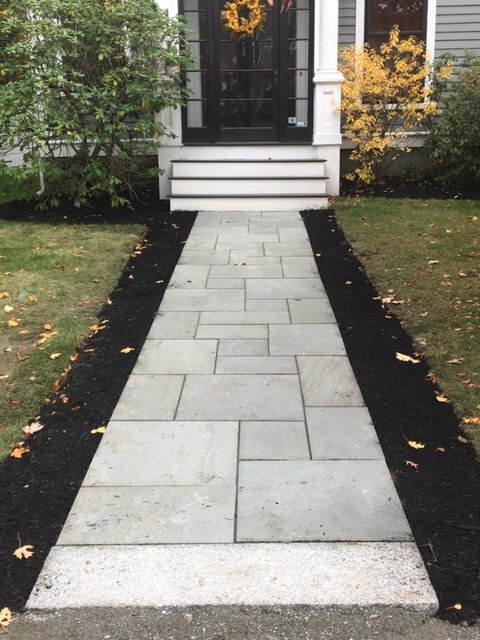 Lawn Care Service Bedford MA | Concord Tree & Landscape LLC. Concord Tree & Landscaping is responsible enough in matters of lawn care service Bedford MA. We have the best caretakers in the field of lawn care and maintenance. You can hire us as professionals to do the job for you. We are here to help with the right level of lawn care service with the rest of the pros and advantages. We can show you the reasons for upgrading the lawn area. Our professionals work in the way to help your property get the kind of personal touch. In case if have plans to sell your property, you can take our help to enhance the look and value of the property type. If you have the aim to own a healthy and beautiful lawn you can take out help at the right time by availing the lawn care service Bedford. We offer the best benefits in helping you hire the professional team in taking the right care of the adjacent lawn. In fact, we are ready to give the amount of effort and time in changing the face of the lawn. This is an ongoing process requiring the amount of constant and careful attention. We offer you fabulous packages all year round. There are several ways we help you in protecting the piece of land outside the home. We work right delivering with the standard lawn care service Bedford MA. First, we inspect the lawn and decide on the specific range of services. We offer several lawn care plans for you to choose the right one. We have packages offering seasonal lawn care services. We take the responsibility to take care of your external property with the best tools and solutions. In case your lawn needs changes we can do the needful in absolute style. Taking care of the lawn is expensive at times especially when the condition is bad. This is when we can help to lend the apt lawn care provisions. Concord offers Bedford lawn care service and we let you know what you can do in getting the lawn ready for the next season. We have experts in the field to lend the right care at the right time. At the time when your lawn lacks the essential lustre, you can avail for our service and contact us or contact us for expert help at Concord Tree & Landscaping.